Fishing Charters from Au Gres Michigan. 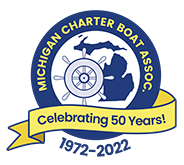 Charter fish for Salmon and Lake Trout on Lake Huron with a member of the Michigan Charter Boat Association. Lake Huron Saginaw Bay Walleye Charters Au Gres Michigan charter captains directory from the port of Au Gres , Michigan located at 44.057369,-83.694878 USA Great Lakes Region.